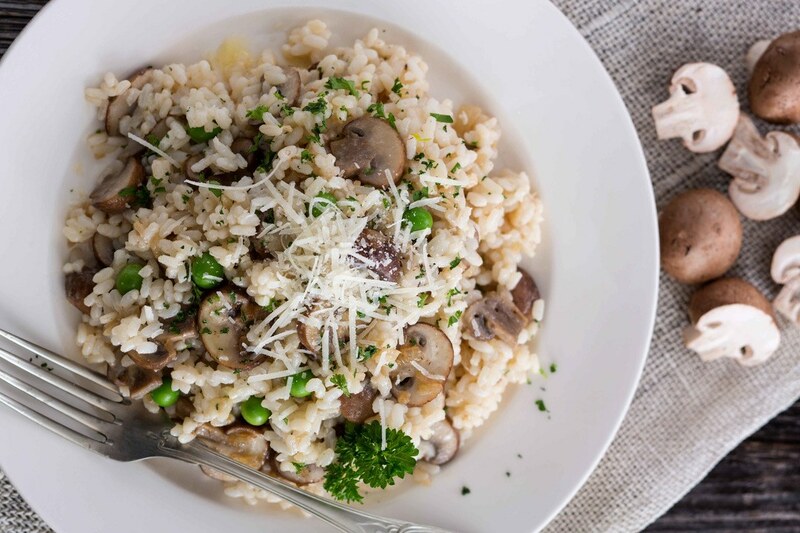 Risotto is an Italian rice dish that’s very popular in Italy. In fact, Italians commonly cook their rice dishes using this recipe. Unlike regular cooked rice, risotto is made to be creamy – since it uses A LOT of liquid ingredients in the recipe. A broth is normally used to create this dish – and the broth can be meat broth, fish broth, or vegetable broth. To make the rice dish moist and creamy, butter and wine can also be used in the recipe. Saffron, which is a colorful type of spice, is also commonly used in risotto recipes to give it an attractive color. As a rice dish that can be eaten as the main course, appetizer, or together with other dishes, risotto lovers like making this dish in large batches. And so, if risotto is also one of your favorite food, you probably want to make A LOT of this recipe for later consumption. Well, I have good news for you – you can, indeed, make a large batch of risotto so that you can freeze some of it for another day. 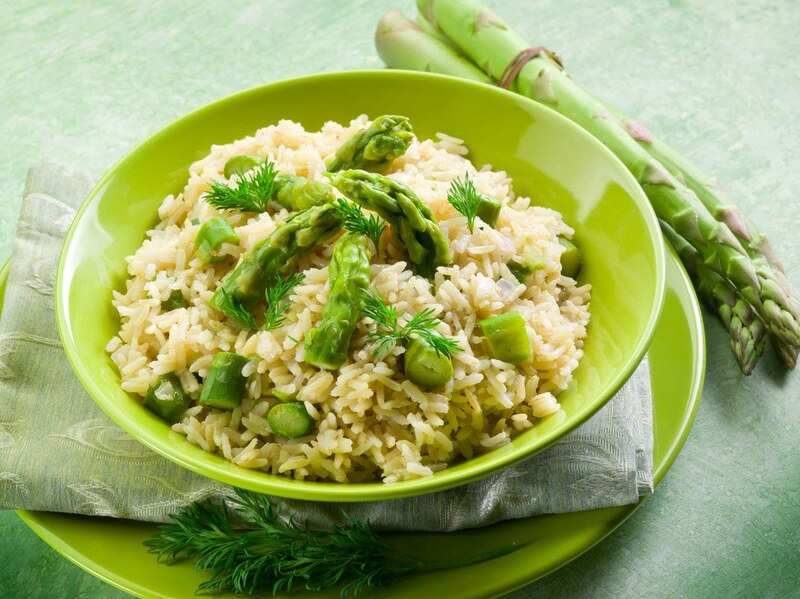 Risotto freezes well – and you can reheat it in many different ways while still retaining its quality and texture. 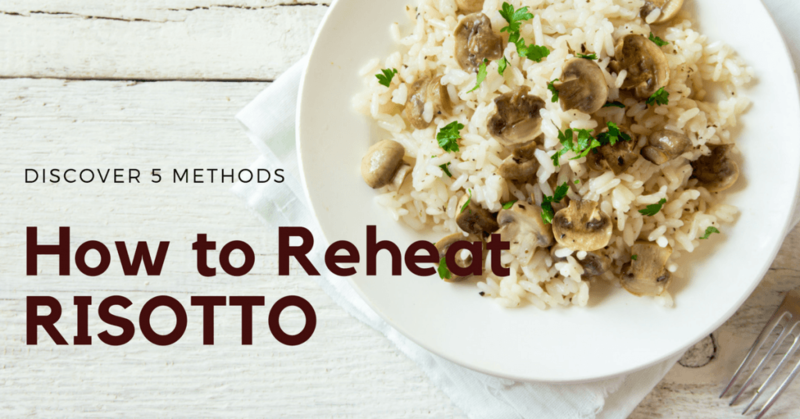 In this post, I will cover 5 different methods on how you can reheat risotto. So, read on. Is it Safe to Eat Cold Risotto? If you’ve never cooked risotto before, just follow the steps listed below. Step 1 – Saute uncooked rice. Step 2 – Add wine or stock to uncooked rice gradually, while stirring constantly. Step 3 – Allow the rice to cook in the liquid ingredients slowly. Step 4 – A small amount of risotto (1 or 2 servings) will cook in about 30 minutes. Cooking Risotto (video) requires that you stay over by the﻿ stove﻿ while it’s cooking. Neglecting the stirring part will result in uneven cooking and burnt rice. Preparing risotto can be quite laborious and time consuming, but ending up with a delicious dish is worth all the time and effort. If you’re reheating a frozen risotto dish, make sure that it has been thawed in the refrigerator overnight. Transfer the risotto from the freezer container to the saucepan. Add a moistening agent to the dish. You can use broth, wine, or water. Turn on the stove to medium heat and bring the mixture to a boil. Allow the rice dish to simmer for a few minutes, all the while stirring it. When fully heated up, remove from heat. Don’t use high heat as the dish can dry up and get burnt. Constant stirring is required as this allows for even distribution of heat. Frozen risotto should first be thawed in the refrigerator and left at room temperature for about 30 minutes. Place the bowl with risotto inside the steamer and cover it. Using low heat, allow the water to boil so that the steam from the boiling water will heat up the risotto dish. Check the dish from time to time to see if it has completely heated up. When done reheating, remove the risotto dish from the steamer and add some butter or wine (if desired). Using the steamer method can take some time as it involves a slow (and low) reheating process. If you’re heating up a large batch of risotto, it can take up to an hour to fully reheat the dish. Do not use high heat when reheating risotto in a steamer. High heat can quickly dry up the water and also result in uneven heating of the dish. When using the oven to reheat a risotto dish, it would be better if the dish is transformed into a new dish. You see, the high heat in an oven will somehow ruin the texture of risotto – yes, even if you add liquid ingredients to the dish. To avoid ruining the food, use the oven to create a new dish called Risotto balls by following the steps listed below. Allow the frozen risotto to thaw in the fridge overnight and let it stand at room temperature for about 30 minutes before proceeding to the next step. Add grated cheese to the risotto mixture and mix it well. Create small balls of risotto by scooping with a spoon and forming a ball with the palm of your hand. Have 3 bowls ready and on standby – 1 for flour, 1 for beaten eggs, 1 for bread crumbs. Dip the rice balls in this order: flour, eggs, bread crumbs. Set aside after coating. Preheat the oven to 350 degrees Fahrenheit. Line a baking pan with a baking sheet paper. Arrange the coated Risotto balls on the baking pan. Bake until golden brown (about 20 minutes). Creating a new dish out of risotto is more practical when using the oven to reheat it. Check on the risotto balls while cooking as overcooking them will result in a dried up dish that’s not very enjoyable. Adding grated cheese to the risotto mixture will make it tastier as a new dish. Thaw frozen risotto in the refrigerator overnight. Allow the thawed risotto to stand at room temperature for about 30 minutes. Transfer the risotto dish into a microwave-safe dish. Add broth, wine, or water to the mixture and mix it well. Place the risotto bowl in the microwave and heat on medium high for a few minutes (1 to 4 minutes – depending on the quantity). Check the dish from time to time (every minute, to make sure that you’re not overcooking it). 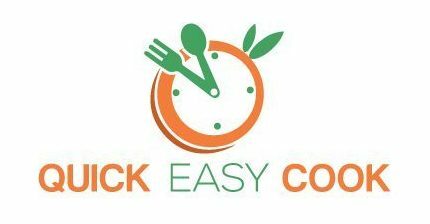 If it’s still not hot enough, add 1 minute to the cooking time (add more, if needed). Add wine or butter to the mixture before serving it. Using the microwave method is the quickest and most convenient way to reheating risotto (if you’re really REALLY busy, use this method). Reheating risotto in the microwave can result in a dried-up dish. If you really want to reheat risotto in the microwave, make sure that you add a moisturizing agent into the dish – such as butter, wine, or water (but still, don’t expect the texture to be the same). Position the risotto in the upper double boiler pan. Allow the dish to heat up. Add stock, wine or water to the mixture to prevent it from drying. Add butter to the mixture before serving. If you don’t have a double boiler, you can use 2 pans (a small one inside a big one) and just recreate a double boiler setup. Freshly cooked risotto should be allowed to cool down completely before freezing it. After risotto has cooled down, it should be refrigerated right away. Don’t leave it for more than an hour on the counter as bacteria can start to grow on the risotto at room temperature. When storing leftover risotto (in the refrigerator or freezer), make it a point that you put it in a well-sealed container. The process of reheating risotto will kill any bacteria that may have developed in the dish. Do not re-freeze risotto once it has been thawed (this will expose you to bacteria-growth and food poisoning). To prevent risotto from drying up when reheating it, you can add stock or wine to the dish. In the absence of stock and wine, you can use water instead. Adding butter to your risotto recipe will make it creamier and tastier. Although Risotto freezes well and can be reheated, you can’t expect it to have the same quality as a freshly cooked dish. Risotto absorbs moisture while cooling – that’s why it won’t have the same texture as a freshly cooked dish. While you can eat Risotto cold, it’s not the same as eating it hot. It’s still delicious, but not as tasty. Now that you know how to reheat risotto using 5 different methods, you can make this dish in advance and simply keep it in the refrigerator (or freezer) for later consumption. This way, you can quickly enjoy your risotto whenever you like it. I hope this post has been helpful to you – and if it has, do share it with your friends. I would also appreciate any feedback from you – so, the comment section is all yours.